The partnership between QNET and the Marussia F1™ Team was a momentous evolution of QNET’s support of worldwide sport, particularly motorsport. The shifting in gear from various racing series’ to Formula 1™, with the most dynamic and vibrant team on the track – the Marussia F1™ Team – ensured QNET’s continued legacy of championing the world of motorsport. Virgin Racing, headed by Sir Richard Branson, is a brand known as much for its ‘think-outside-the-box’ and entrepreneurial spirit as that of QNet’s Independent Representatives. 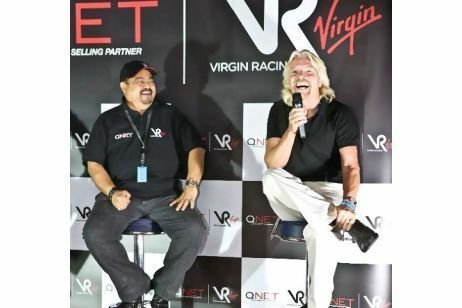 Partnering with a like-minded lifestyle brand like Virgin Racing helps QNet expand its opportunities and amplify the brand message to the global market. “We see tremendous synergies between our two companies – the Virgin Group and QI Group. Both (companies) are aggressively expanding our businesses,” said Richard Branson in a press statement. Branson, who heads the Virgin Group added that he was looking forward to collaborating with QNet on other projects as well. After four impeccable years as official direct selling partner, we experienced varying depths of emotion as we kept up with Marussia’s speed, precision and teamwork. With the Marussia F1™ Team, we dreamed, we performed and we achieved, as we were instantly recognized and respected as a member of an influential and powerful organisation. What a ride it’s been! From its 2010 debut as the underdog, the Team had a tough time to move up the grid compared to the other established drivers, however together we matured and grew throughout the seasons. 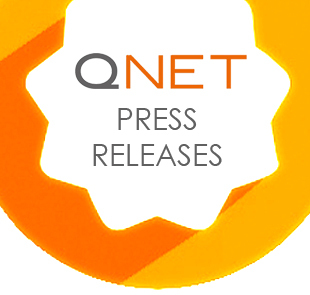 For QNET, which has been involved with motorsport through its sponsorship of teams in the Formula BMW, Formula V6 and the GP2 Asia series from 2004 to 2009, the move to the Formula 1™ category was a natural progression, ensuring exposure for the brand on a global stage in one of the most prestigious sporting arenas.